Every continuous collection of events represent an action, that can be categorized and recognized in this universe. Steaming SQL is one of the techniques utilized to process massive amounts of streaming events to find real-time responsiveness on changing real-world conditions. In this session, Vanji will discuss with examples how steaming SQL has been heavily utilized to battle real-world challenge. 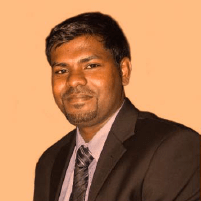 Vanji is a lead solutions engineer and a member of the solutions architecture team. During the course of his career at WSO2, he has been involved in the research and development of the WSO2 Enterprise Service Bus (now repackages as WSO2 Enterprise Integrator) product. Also, he is a Project Management Committee (PMC) member and a committer for the Apache Synapse Project.